Today I found one of the scarces Flemish badges: the rexist blood order or honor badge (numbered) only a few are known in collections. The other badge is the badge of honor of 10 may 1940, but the flemish edition. 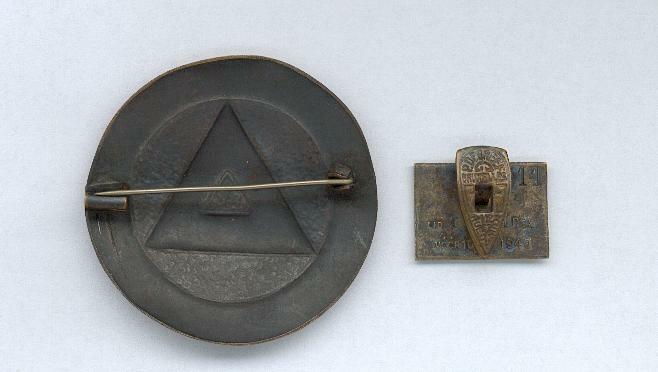 This was awarded to members of Rex arrested and/or imprisoned at the time of the German invasion in May 1940. Unknown how much were awarded, this one is numbered 111. 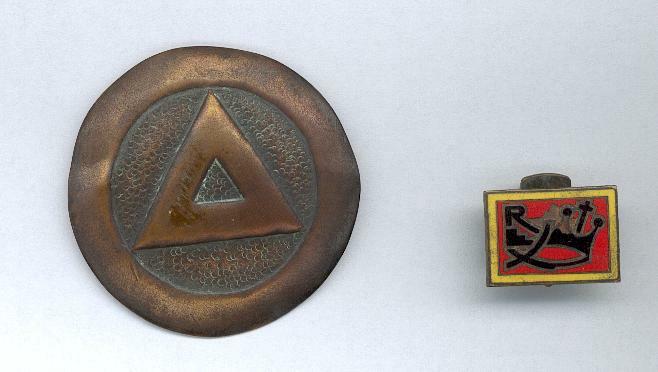 It is a 23 mm by 17 mm and shows the original Rex emblem of “cross and crown” upon a red background. The flemish volunteer on the picture is Ludo Van Boom from Mechelen. He was in the 3. 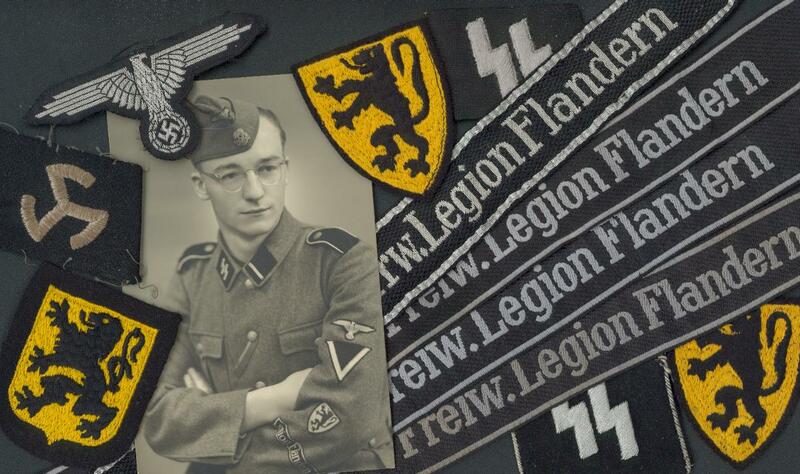 Kp of the flemish legion and later in the langemarck. He was KIA at the end of the war in 1945. 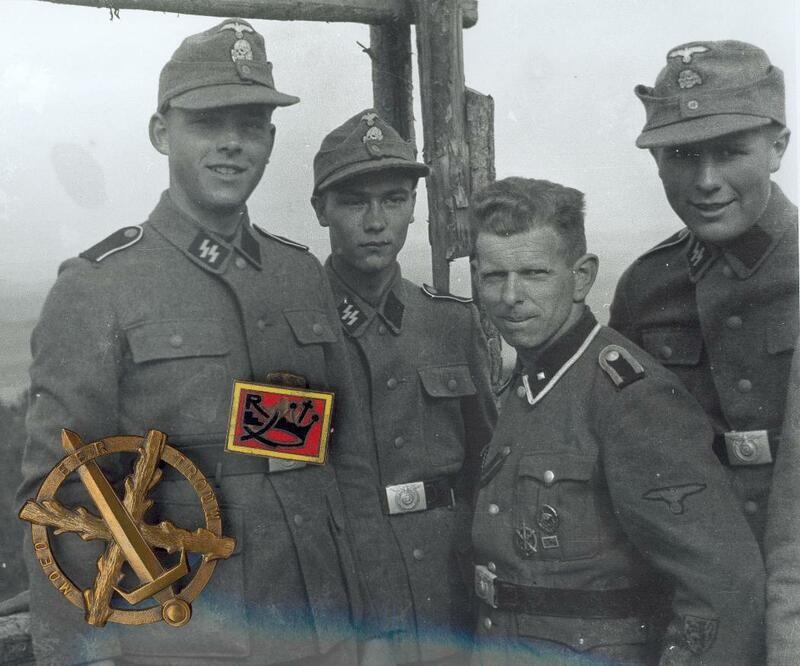 Here you have almost the complete collection of cufftitles that could be worn by a flemish volunteer: you see the Nordwest RZM the freiw legion flandern : RZM – bevo – Flatwire (officer) Langemarck : RZM – bevo – flatwire (officer) with all different types of flemis lion shields (locale fabrication – german fabrication) On the bottom of the picture you see the very rare bevo wallonien cufftitle with two armshields. You are currently browsing the archives for the cap insignia and arm eagles category.